Improving customer retention is the fastest way to more sales and profits. In addition to having a higher lifetime value, loyal customers advocate for your brand. I used to wonder why customer retention wasn’t the top priority for every company. A few years ago, a marketing VP gave me an excellent explanation when asked why resources were not being allocated to customer retention. He said that justifying resource allocation for customer retention was close to impossible because retaining customers was considered a part of the daily job function. 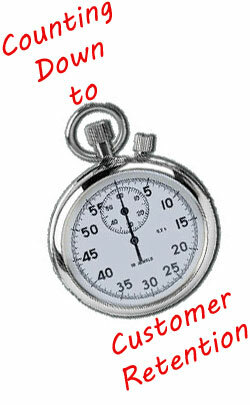 It is presumed that once acquired, customers don’t leave until they die. No one in the boardroom wants to hear a presentation on how many customers were retained. The VP explained that every presentation on customer retention had been followed with one question, “why aren’t you acquiring more customers?” Marketers that acquire customers get bonuses and promotions. There are no rewards for customer retention. Since hearing his explanation, I’ve noticed the same challenge in many other organizations. Ironically, improving retention has a side effect of increasing acquisition. If challenged to grow a company, I would always start with the existing customer base and build from there. These are people that already know your company and like your products or services. They are more likely to make a purchase than prospects that don’t have buying history. Starting with customer retention is easy if you have autonomy over the marketing and service departments. If you don’t, you have to work within the constraints provided by your organization. This makes it a little harder, but not impossible. The trick is to start small, generate measurable results, and leverage the information learned into a bigger retention program. Say “thank you.” Now I’m sure you already say “thank you” every time someone makes a purchase. This “thank you” is different because it is not tied to a specific action or used to generate an action. 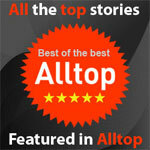 Send an email to your customers that simply thanks them for their patronage and wishes them well. It’s a breath of fresh air in a sea of promotional messages. Start a win back program. Choose a segment of your customer file that hasn’t purchased in a while. Send an email telling them that they are missed and offering a good comeback deal. Choosing a deal that matches previous purchases or interests improves response. Make the emails as personal as possible. 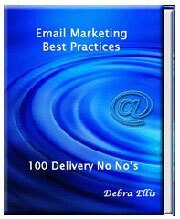 Add educational emails to your marketing mix. I’m often asked how many emails are too many. You can’t send too many emails if the messages you are sending are relevant, timely, and helpful to the recipients. Make your educational emails easy to consume with benefits clearly shown. Sending educational emails has an added bonus – people start looking for your messages. 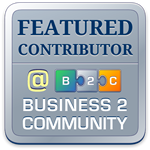 This gets your company emails preferential treatment and eliminates the Gmail tab threat. Become a virtual assistant. Juggling work, family, friends, and everything else in an active life is exhausting. Create emails to remind people of birthdays, anniversaries, special events, and service schedules. Emails that reduce stress are always welcome in the inbox. Create a path of least resistance that leads to your company. Invite feedback. Listening complaints about service or marketing messages is an uncomfortable but necessary part of the improvement process. When done well, your customers feel valued and your marketing team learns how to improve customer relationships. Each of these ideas can be implemented in an hour or less if you have the infrastructure in place. If not, start building that infrastructure now so you can capitalize on these inexpensive solutions for improving customer retention. Capture as much information as possible that can be used to get more resources allocated to customer retention. 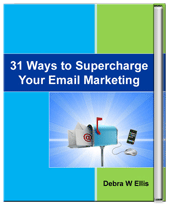 For more ideas and specific examples on customer retention, check out 31 Ways to Supercharge Your Email Marketing.